To understand how Triple P works, think of it as a toolbox of ideas. You choose the tools you want to make your family life better. 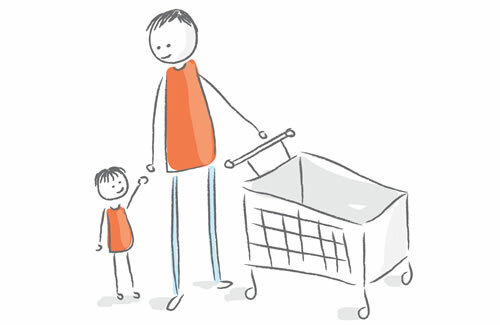 You can adapt Triple P’s ideas to suit your culture, beliefs and personal situation, using them to build better relationships with your child, solve problems, become a more confident mum or dad – and give your child the best start to life. 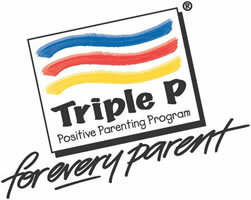 Another great benefit of the Triple P programme is that it only gives you the amount of help you really need. So you can choose anything from a one-off seminar to detailed group courses. Level 2 – Seminars: Stand alone 90 minute sessions covering topics such as The Power of Positive Parenting, Raising Confident Competent Children and Raising Resilient Children. Level 3 – Discussion Groups: Stand alone 2 hour workshops with more specific information such as Developing Good Bedtime Routines, Dealing with Disobedience, Managing Fighting and Aggression and Hassle Free Shopping with Children. Level 4 – TP Group: A broad focused weekly group course which runs over 8 weeks and provides a more intensive training in positive parenting skills. Level 4 – Stepping Stones: Specialised 9 week programme for parents of children with additional needs. And we know that Triple P really does work. It has 30 years of ongoing scientific research to back it up, with studies showing it helps families regardless of their culture, beliefs or personal situation. In fact, Triple P has helped more than six million children and their families in 20 countries around the world. Any parent of children aged between 2 and 12 years old living in the Northside Partnership catchment area in Dublin 3, 5, 17 and parts of Dublin 9 and 13. To view a map of the area, please click here(link is external).